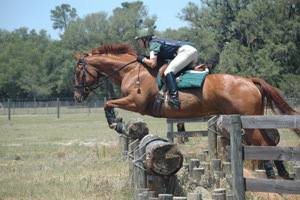 Alita (Bunny) Hendricks is a U.S. Pony Club graduate A member of Difficult Run PC, Virginia Region and transferred to Suncoast PC, Sunshine Region after moving to Florida to begin college. She has worn several hats in Pony Club (all ASTM SEI approved, of course :-) ), including being a National Examiner (for over 25 years), a former Chief Horse Management Judge (25 years), instructor/clinician (even more years! ), member of the National Testing, C3 Program, and Horse Management Committees a couple of times each, former chair of the Written Test Committee and D1-C2 Program Committee, rally coach and Festival Clinician as well. In 2004 she was honored to be named a USPC Legend of Instruction. Currently, Bunny is the CVO (Chief Video Officer) of her company AllHorseTalk.com, a web site which produces and offers high quality equestrian education videos on all aspects of horse care and English riding disciplines. Much of the time during the year when not preparing AllHorseTalk.com videos, Bunny travels throughout the U.S. as a clinician specializing in USPC Upper Level Ratings Preps, C3 through the A Level, including the HB and HA Ratings. These include both riding and non-riding ratings. As a popular clinician, she has traveled from the Carolinas to California, from St. Croix to Seattle, and many places in between! She has presented several workshops at the USPC Annual Meetings over the years as well. In her own Sunshine Region, she is the Regional Instruction Coordinator (RIC), clinician, and frequent TD or Steward at rallies. As a junior, Bunny competed in Virginia Horse Shows Association in Hunter and Jumper Shows through Horse IV, Eventing through Preliminary, and Dressage through Second Level, mostly at Frying Pan Park, Fairfax County, Virginia, which was next door to her home during her active Pony Club years. Later, she did more of the same as an adult in Florida. Her current equine partner is BJ a very large Hanoverian with a challenged work ethic. But she adores him just the same. He is also very good at standing patiently in many of the AllHorseTalk.com videos as he is groomed, bandaged, blanketed, or otherwise needed to teach a variety of horse management skills on camera. Bunny lives with her husband Mark, 4 horses, and 3 dogs at their Hunteridge Farm up on a hill in Trilby, Florida (yes, hills really do exist in Florida!). She is a retired 21 year veteran elementary school teacher and would like to remind you to "Be good to your horse, and be good to yourself." You can see her schedule and contact her regarding clinics, camps, and seminars by clicking the highlighted words. In this horsemanship series, veteran horsewoman, Alita "Bunny" Hendricks, shows you the proper way to bandage your horse with detailed demonstrations of each step while emphasizing horsemanship and safety. This is the first video of the series and features the stable bandage. In this horsemanship series, veteran horsewoman, Alita "Bunny" Hendricks, shows you the proper way to bandage your horse with detailed demonstrations of each step while emphasizing horsemanship and safety. This is the third video of the series and features the figure 8 bandage for the hock. In this horsemanship series, veteran horsewoman, Alita "Bunny" Hendricks, shows you the proper way to bandage your horse with detailed demonstrations of each step while emphasizing horsemanship and safety. This is the second video of the series and features the figure 8 bandage for the knee.